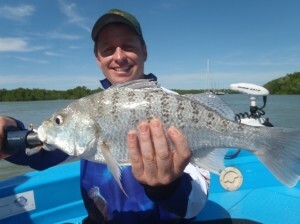 Anglers Advantage offer one of the best fishing charter experience in Darwin and on the Sunshine Coast. We offer a huge range of fishing options and you are assured of finding a fishing charter package that will match your needs. We operate in Darwin from March through until late October and then travel south to Queenslands Sunshine Coast where we operate during the wet season in Darwin (from November through until the end of February). We specialise in the offering individual tuition of Soft Plastics and Light Tackle Sports Fishing and we give you a personalised fishing experience. The target species in Darwin are Barramundi, Threadfin Salmon, Queenfish, Longtail Tuna, Mack Tuna, Spanish Mackerel, Tarpon, Golden Snapper, Javelin Fish, Brown Mowong, Trevally, Bream and the Sunshine Coast species being Inshore-Jewfish, Trevally, Flathead, Bream, Whiting, and Offshore Longtail Tuna, Yellowfin Tuna, Mack Tuna, Spotted Mackerel, Spanish Mackerel. Our fishing tours are conducted on board our custom modified Polycraft 4.8 Brumby, it is the best platform for estuary and close offshore fishing. 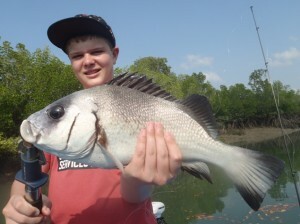 In Darwin we work out of Darwin Harbour fishing the feeder creeks flicking lures among the Mangrove lined banks for Barrmundi, Mangrove Jacks and Threadfin Salmon whilst in the main harbour we target schools of Longtail Tunas, Trevallys, Queenfish and a range of Mackerels. In Queensland we offer inshore guided tours including some sensational impoundment fishing, whilst our offshore soft plastics charters and light tackle spinning charters are not to be missed. Brian Readman has over 3 decades experience fishing both locally and internationally. He has fished in exotic locations chasing everything from Trout to Blue Marlin and Yellowfin Tuna. These places include the Mexican Baja Peninsula, Florida Keys, and Cape Town and Durban in South Africa. This experience has armed Brian with a wealth of knowledge and the list of species he has come up against is vast. As an exceptional angler and mentor Brian will educate you in advanced fishing techniques in a relaxed and easy to follow manner. He is expert in the use of Soft Plastics and when it comes to Light Tackle Sports Fishing his wealth of knowledge is unbeatable. Heres your chance to learn the secrets to becoming a better angler from one of the best skippers around. The vessel is a custom built 4.8 metre Polycraft BRUMBY powered by a 2008 Yamaha 80 horsepower four stroke outboard. The Brumby provides the client with maximum comfort and time to enjoy the activities that are scheduled on their fishing adventure. The front casting platform offers excellent visibility at the ideal height for long accurate casts. There is a large esky onboard to keep your catch fresh. To assist with stealth navigation the vessel has a Minn Kota 24v 80lb thrust electric motor operated by remote control for silent approaches among mangroves and sand flats. Anglers Advantage tours are in high demand, avoid disappointment by booking in early. Reel Screamer Fishing Charters is owned and operated by Kevin Sweeney who has been fishing around the area for almost forty years. With his vast experience in recreational fishing, he won several awards and is well known in the fishing industry. In addition to that, in sixty years history of the Australian Anglers Association, Kevin is the only angler who won the Australian Champion of Champions fishing title three times and a further combined eight South Australian Champion of Champions fishing titles. Kevin loves to share his local fishing knowledge with his customers to ensure the best and most memorable fishing experience. Opal 2 and the Clayton Gallant called “Hot Chilly” vessel is used to carry passengers out to their respective tour trips. Opal 2 was built and designed to provide safe and stable platforms that handle the unique waves of St. Vincent Gulf. Opal 2 is a trailerable Nereus 20 that was built to 2C survey regulation and licensed under SA Fisheries Charter Boat Act. The vessel is equipped with full safety requirement, GPS plotter systems, toilet, and customised with quality fish finders. Hot Chilly is a brand new 7.4 meter Clayton Gallant used to cater for larger groups up to 11 persons. Tour Destinations: Althorpe Island, Wedge Island, Neptune Island, Kangaroo Island, Investigator Island, Cabbage Patch, Thistle Island and beyond. Available Species: Nannygai, Blue Morwong, Tuna, Blue Groper, King George Whiting, Snapper, Harlequin, Salmon, Samson, Kingfish, Trevally, Sweep, Flathead, Thresher, Shark-Mako, Bronze Whaler, Blue, Seven Gill, Gummy, School and many more. 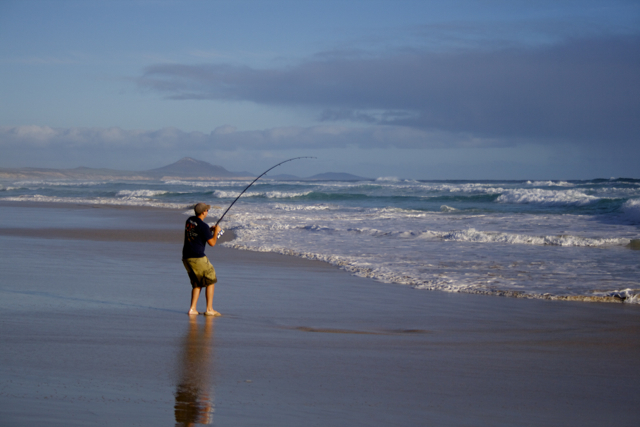 Tour Inclusions: *Fishing gear, bait and tackle are provided plus one night accommodation, fish cleaning available. Tour Inclusions: *Fishing gear, bait and tackle, plus one night accommodation, fish cleaning available. Tour Inclusions: *Fishing gear, bait and tackle, meals, plus one night accommodation on land prior to departure, fish cleaning available. 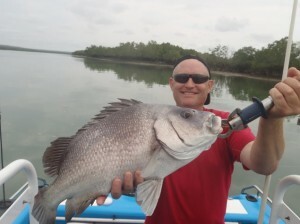 Reef Encounters Fishing Charters is owned and operated by Mark who has been fishing around the Australian waters, from Marion Bay and Pondalowie Bay since the day the Charter was established in 1998. It is now recognised as one of the foremost and leading fishing Charters in South Australia. 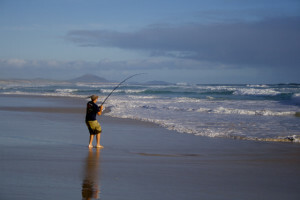 They offer the best deep sea fishing hot spots within the waters of Australia. A 45 foot Harriscraft with customised long range charter vessel is used in carrying their customers on their respective tour requested. The vessel is equipped with toilet, custom fit-out, galley, ample shade and seats for all the passengers on board. Reef Encounters Fishing Charter also accepts corporate groups to come and have the best fishing experience with a saltwater fishing tour as part of their corporate retreat or corporate team building activity. 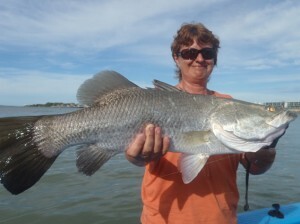 There are many land based activities aside from saltwater fishing tours with the guidance of your skipper Mark. What to bring: -Food, water and drinks in a small esky. What is included: -1 nights accommodation with additional nights available subject to availability. Lawrie Fishing Charter is based at North Haven, Adelaide, South Australia, which is only 15 kilometers North of Adelaide CBD. There are a lot of natural and artificial reefs including ship wrecks found within the area, especially in the Gulf of St. Vincent. Tourists and adventurers are accompanied by an expert, experienced and professional skipper to guide them and help make a memorable and adventurous experience which they will never forget. Rob Lawrie is one of those skippers who will accompany you. He has been fishing in the area for over 30 years. Lawrie Fishing Charter staff ensure the passengers that the vessel they use is well maintained by checking its motor to ensure the safety of the passengers on board. Youngcraft vessel will take the passengers at North Haven Marina, which adjoins Semaphore and Larges Bay. The vessel is equipped with Volvo Penta 200 horse power Turbo Diesel, Toilet, First Aid kit, HF radio, GME VHF radio and Fire extinguisher. Goin’ Off Safaris offers a range of adventure/fishing/exploration packages based around Coffin Bay, and even as far as Birdsville in Outback Australia. Visit South Australia- the Seafood Capital of Australia and jump aboard one of our exciting packages. 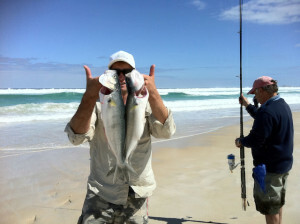 Make the most of your holiday reeling in some hungry and fighting Australian Salmon on your own private beach. Reel in huge Snapper and Nannygai on a reef charter. Taste succulent oysters fresh out of the racks in Coffin Bay. Whether it’s a boys weekend away or a family trip- Goin’ Off Safaris can cater for your needs. Call us for more information or to tailor a trip just for you. What to bring: sunscreen, camera, sea-sickness tablets (if prone to sea-sickness), warm clothing (in winter). How to get here: Flights are available to Port Lincoln from Adelaide with both Regional Express and Qantas. All transfers from the airport are included in your package. Should you choose to drive, Coffin Bay is around 700km from Adelaide and takes 7-8 hours. Other activities to add to your package: * Full day tuna charter- fishing for Southern Bluefin Tuna- $310pp min 4pax, max 6 (seasonal: Dec- May) * Shark cage diving- $495pp no min numbers * Full or half day bay fishing charter, targeting King George Whiting, Australian Salmon, Tommys, Squid, Flathead etc- from $160pp Tours available all year, except tuna fishing. Goin Off Safaris is owned by Lunch, who is David Doudle in real life. Lunch is a fourth generation farmer who spent over 30 years of exploring the local area. The Goin Off Safaris business was established in the year 2005. Lunch was a former swimmer, water instructor, sheep shearer and a traveler. With the help of his helper, Mandy Drummond, customers will always enjoy their activities. Coming from a management and hairdressing background, Mandy Drummond is qualified beautician, masseur and has experience in hospitality management. Many visitors have had the pleasure of one of Mandys massages after their adventurous activities. Lunch, Mandy and all the staff of Goin Off Fishing Charter will make your vacation both amazing and memorable.